When you think about divorce, you may think about how it will significantly change your personal life, but it will also alter your financial life. If you are tired of trying to make your marriage work and nothing is changing, you’ll face difficult questions for which you need answers to before you file for divorce. You’ll need to make well-considered decisions to make certain your life after divorce is better than the circumstances that led to divorce in the first place. That is why you need to talk with an aggressive Muskogee divorce attorney that will stand in your corner to protect what matters most in your life. The emotional rush to end a marriage often leaves people not thinking about all of the issues that come up after a couple ends their relationship. 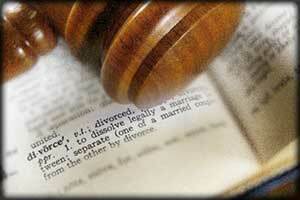 Our office has worked successfully as a trusted ally for all of our clients going through divorce. Before you take the next step you need to have all of your questions answered by one of our attorneys who handles divorce cases at our Muskogee office. Years of blood, sweat and tears at the office trying to provide for your family do not have to go away the second a spouse files for divorce. Speaking with a Muskogee divorce attorney can help you quickly begin to keep your financial house in order while you handle the divorce. If you’re worried about maintaining your current lifestyle after your divorce, an experienced attorney can help you map out a plan in hopes of no major interruption in that way of life. Whether it’s a contested divorce in Muskogee County or an agreed divorce, you need someone to be there to help you understand the process that you face. It’s one of the first questions a parent that is going through divorce often asks a divorce attorney, “Will I get to keep my kids? Or, “How often can I see my kids?” Depending on your answer, Muskogee family lawyers at Wirth Law Office strive to help parents keep an active role in their child’s life after divorce. It’s important to point out that Oklahoma divorce courts work to consider the best interest of the child when deciding on custody. If you’re considering all of your options at the moment, call an experienced Muskogee divorce attorney today at (918) 913-0725, or toll-free at 1 (888) 447-7262 (Wirth Law). If you prefer, you can use the box in the upper right-hand corner of this page to send a question or message.